Check Out TuneCore Social Pro Here! 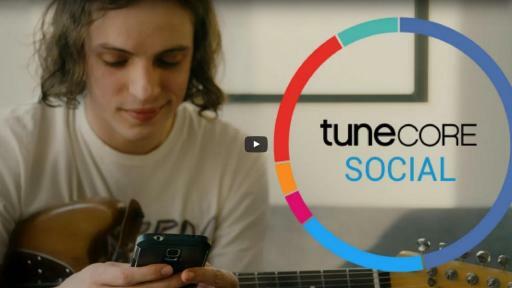 New York, N.Y. – April 27, 2017 – TuneCore, the leading digital music distribution and publishing administration provider for independent musicians, today announced the launch of TuneCore Social Pro, an innovative social media management platform that allows artists to manage their social media activity and distribution sales, all in one place. TuneCore Social Pro is the broadened paid tier of TuneCore Social, which launched in October 2016 to overwhelmingly positive customer response. 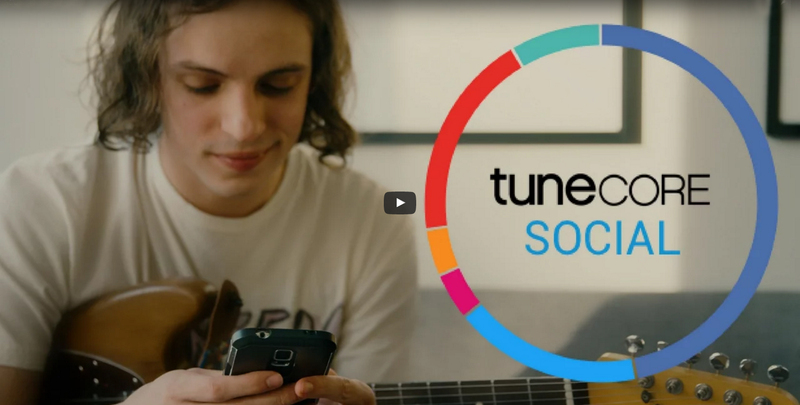 Based on in-depth conversations with its artists as well as customer surveys, TuneCore identified a need for a tool that allows artists to manage their social media activity in a way that helps them streamline and grow their careers. TuneCore Social Pro and its educational resources were created as a direct result of that customer feedback, with a corresponding new mobile app that caters to artists’ busy, on-the-go lifestyles. TuneCore Social Pro and the new mobile app will be available to both distribution customers (artists/labels), as well as any user in the U.S., Canada, UK and Australia markets who simply has a TuneCore account. Catering to the busy musician lifestyle, TuneCore Social Pro will serve as the comprehensive destination for artists to share and edit content in advance as well as in real time across multiple platforms, including Facebook, Twitter, Instagram, Mixcloud and SoundCloud. For artists in the studio or on the road, TuneCore Social Pro allows them to maintain a strong social media strategy by pre-scheduling unlimited posts through a reliable partner, so they can concentrate on their music while staying in touch with fans and further expanding their audience base. TuneCore Social Pro allows musicians to retrieve and manage reporting all in one location, giving users access to a year’s worth of comprehensive social media analytics and streaming/download trends data. Access to this information will allow musicians to be their own digital strategists and easily review which of their posts are the most successful in order to keep fans interested and engaged. Users can review wide-ranging analytics, including statistics available via custom date ranges, as well as robust social media reports across multiple platforms. In addition, artists can create downloadable reports to share with venue managers, booking agents, music supervisors or media to illustrate their success. Available on iOS and Android devices, the TuneCore Social Pro Mobile App gives artists the ability to schedule and post social content across multiple platforms, review follower engagement and growth, and track their streaming and download trends, all on-the-go. Catering to the overwhelmingly busy and mobile lifestyle of musicians, the app allows users to seamlessly manage their social media presence – from the tour bus and backstage to the recording studio and everywhere in between. To maximize the TuneCore Social Pro experience, as well as address artists’ desire to learn more about social media benefits and best practices, the company developed an actionable educational series on how artists can best drive engagement. Available as a free download, the TuneCore Social Beginner’s Guide is a step-by-step guide to getting, growing and interacting with fans. With this easy to use guide, artists will learn how to build their social media presence, including: defining their brand; engaging with fans, venues and brands; understanding channel differentiation and analytics; and leveraging boosted posts. In addition, a series of education videos is available on YouTube, featuring advice from TuneCore artists and employees, as well as industry experts. The updates to TuneCore Social come off another year of sustained growth that saw TuneCore artists earn more than $188 million, a 32 percent increase from 2015. Publishing revenue for TuneCore artists was up 42 percent from 2015, and sync revenue up 28 percent, with placements in major commercials and TV series. Additionally, streaming revenue for TuneCore artists was up 85 percent with top streaming stores including Apple Music, Tidal, Spotify and Google Play. Since its inception in 2006, TuneCore artists have earned over $836 million collectively, from over 57.3 billion downloads and streams. A breakdown of the features available to TuneCore Social and TuneCore Social Pro users can be seen here. Additionally, a video overview of TuneCore Social Pro is available here.